Detective Robby Hernandez, Karen Vail's boyfriend, has vanished into the dense air of a Napa Valley evening. There are no clues to his whereabouts, other than a blood stain and tenuous connections to a vicious serial killer operating in the wine country. As the task force struggles with Robby's disappearance, the killer challenges Vail by boldly leaving his high profile victims in public places. Is this offender somehow responsible for Robby's disappearance? Evidence suggests that he is-but just when Vail and the task force begin to make progress, the FBI orders Vail to return to Quantico to handle a case of vital importance. Back in Washington, Vail engages covert government operative Hector DeSantos to determine what happened to Robby. It's a move that backfires when DeSantos's confidential informants lead them into unforeseen dangers, forcing Vail to face off against powerful foes unlike any she's ever encountered, threatening her life, her career . . . all that she holds dear. 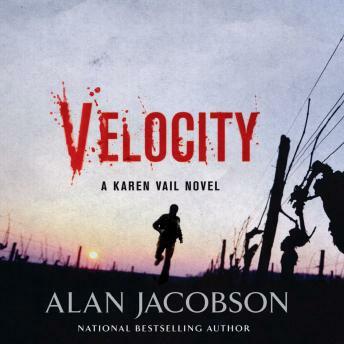 In a frantic race against time that takes them from the monuments of Washington, D.C., to the wealthy beach enclaves of San Diego and the bright excesses of Las Vegas, shocking truths emerge-truths that will forever change Karen Vail. This book was so poorly written than after 2 CD's neither my husband or I could continue listening. I know it was the 3rd book in a series, but we should have still been able to pick up the thread of the plot. Unfortunately this did not happen. If you have read and enjoyed the first two, then maybe you should continue, if not, don't bother with this particular book.